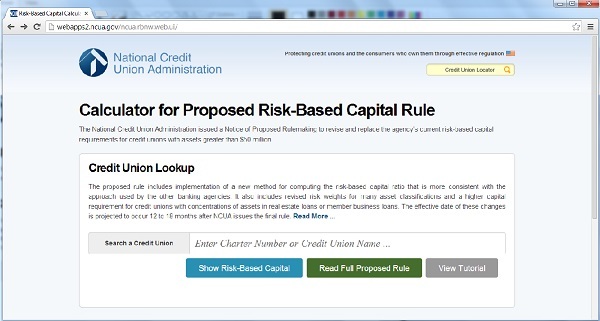 The controversial tool, which demonstrates the effect of the proposal on credit union capital, is currently available to the public. The NCUA said on Thursday it will remove the online risk-based capital calculator at the end of the proposed rule’s comment period on May 28. The NCUA Board proposed risk-based capital requirements for credit unions with more than $50 million in assets at the agency’s monthly board meeting in January. The board provided credit unions with a 90-day comment period.